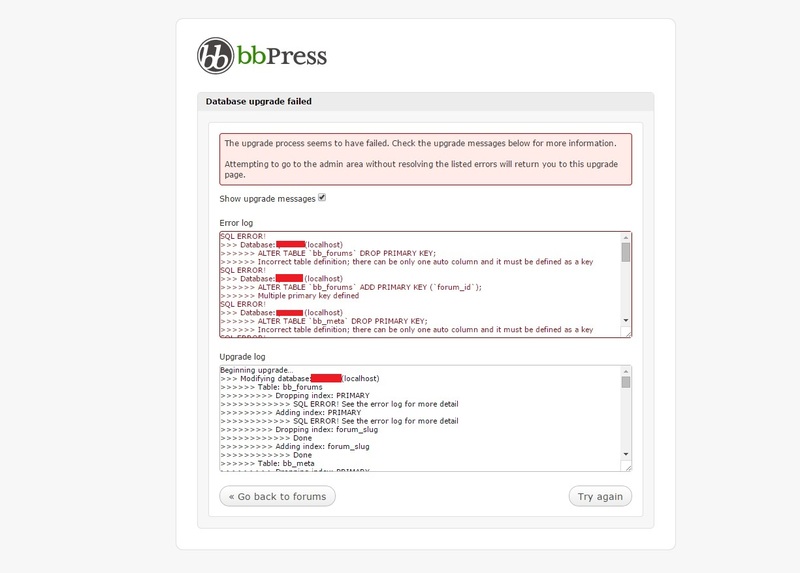 bbPress is a forum software which, in the older versions worked as a “standalone” forum and in some ways it had some degree of integration with WordPress forums, but not fully integrated. The latest versions of this software work as a WordPress plugin, having all functionality inside WordPress database and structure. This is not one of my favorite forum software, and not one of my choice (mainly because there are a lot of functionality like emoticons, private messages, and other common forum tools that are not included, and for which we will need to download extra plugins to use those) but sometimes we need to take an existing bbPress forum and update it to the latest version of WordPress. There are a few problems that show up when trying to migrate the forum data from an older version of bbPress (standalone versions) lower than the bbPress 1.2 version, in which case a few steps must be done for updating it, because an upgrade to the 1.2 version must be done manually. This operation is completely automatic, but will take some time if there is too much information in our database. Sometimes you can run the migration tool from the new bbPress plugin on bbPress standalone versions older than 1.2 without any errors or warnings, however it has been reported that doing this has ended up in losing some reference information between registers, like parent forums not being converted and child forums having lost their parent reference. From the same page, download the Backpress Package. Inside the recently downloaded folder for bbPress 1.2 version, find the folder “bb-includes” and inside of it create a folder called “backpress” (if it doesn’t exists) and dump in all files from backpress package includes folder. (you will have /backpress/class.bp-log.php and so on). *You can find these files attached at the end of this post too. 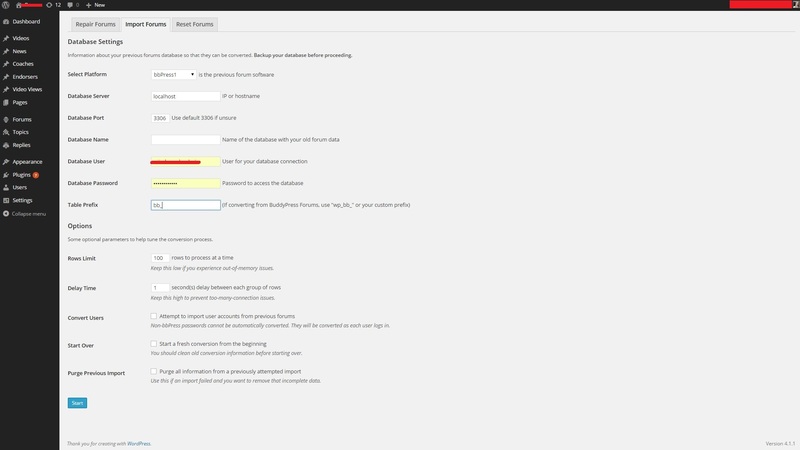 Then go to Tools>Forums>Import Forums and follow the instructions to import all your information. Where it says “select platform”, choose “bbpress1” (this is for standalone bbpress version, now 1.2). Complete all MySQL/Database info with yours. “Table prefix” is usually “bb_” (check your database to make sure of this). Sometimes an error occurs during the import/migration, in case you need to re-start the migration process, I suggest you to check the “start a fresh conversion from the beginning” and “purge all information from a previously attempted import” checkboxes before starting. 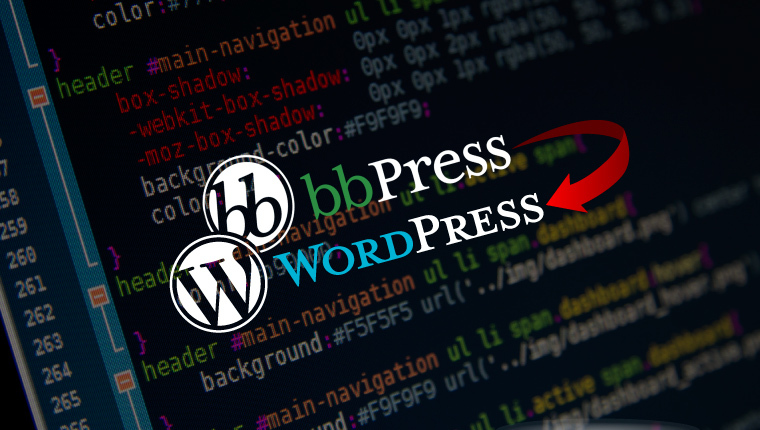 You will probably need to update your WordPress version to be able to use bbPress plugin and migration tools. When logging in to admin panel to perform the database update you can get a notice about database upgrade and warnings about some errors that it could not drop primary index keys and create new ones. This issue has been reported several times, but conversion could be completed successfully, and all forums were intact and operational besides these warnings.